The aging population basically has two choices. It can move to an assisted living community or stick it out at home. 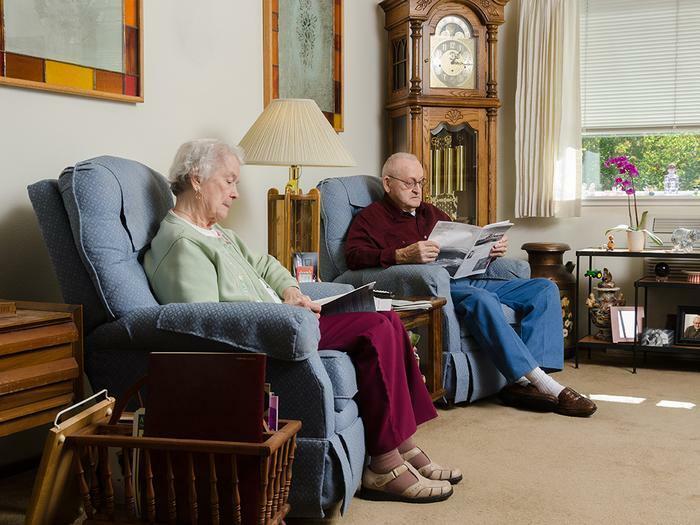 For a growing number of seniors, the choice is home, in a growing trend known as aging in place. The reasons are not hard to figure out. While some might like the companionship of others their own age and the availability of staff for assistance when needed, many others prefer the familiarity of their own home, one they might have lived in for decades. One indication that this trend is growing comes from the National Association of Home Builders' remodeling arm, NAHB Remodelers. Its survey of member reveals more of them have been hired to make home modifications to making aging in place safer and more convenient. NAHB Remodelers Chair Dan Bawden says the projects that tend to be simple and inexpensive are the more popular jobs remodelers are hired to perform. The survey found 80% of remodeling companies are now doing aging-in-place projects, an increase from 68% in 2013. Twelve percent of clients added lighting. Installation of curb-less showers increased 9% and grab bars rose 7%. Non-slip floors rose 7% while 5% of clients wanted the width of doorways increased. Bawden said more expensive aging in place projects seem to be falling out of favor. The percentage of clients adding a first-floor bedroom dropped a percentage point to 33%. Requests to install ramps or lower thresholds fell two points to 49%. State and local government policies can also influence how easily a person can grow old in their own home. AARP recently issued a report that looked at various state policies necessary to help people age in place. The policies cover things like land use, housing and transportation, delivery services and increasing affordable housing. Among the findings, the researchers said more thoughtful land use policies would allow seniors to live closer to, even within walking distance of the services they need. Alternative transportation can reduce reliance on a personal car. More affordable housing could reduce the number of older people whose only option is an institution.